For the 15 years since then-Prime Minister Junichiro Koizumi made a historic visit to North Korea, little substantive progress has been made on Japan’s efforts to bring back Japanese nationals abducted by North Korean agents. 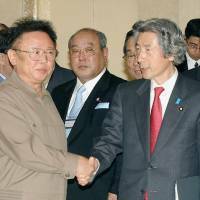 Following the first-ever Japan-North Korea summit meeting with then-North Korean leader Kim Jong Il on Sept. 17, 2002, Koizumi visited the reclusive state again in May 2004. Five abduction victims returned to Japan in October 2002, a month after Koizumi’s first visit, and their family members were brought back home in 2004 after his second trip. However, no other abductee has since been allowed to return home. There is concern that the abduction issue might be left behind, with the international community preoccupied with strengthening pressure on North Korea over its nuclear tests and ballistic missile launches. Chief Cabinet Secretary Yoshihide Suga told a news conference Friday that the government will make every effort to realize an early return of all remaining abductees. “We maintain our position of aiming to solve the abduction, nuclear and missile issues comprehensively,” a senior Foreign Ministry official said. During the visit by Koizumi, North Korea admitted that five abductees were alive, while claiming that eight others, including Megumi Yokota, who are on the government’s official list of 17 abduction victims, were dead. In the summit talks, Kim offered an apology for the abductions, which took place in the 1970s and 1980s. In the 2002 Pyongyang Declaration, signed by Koizumi and Kim at their meeting in the North Korean capital, Japan pledged to give economic assistance to North Korea once bilateral diplomatic relations are normalized with the resolution of the abduction issue, to atone for its past colonial rule of the Korean Peninsula. For its part, North Korea agreed to extend its moratorium on missile testing. 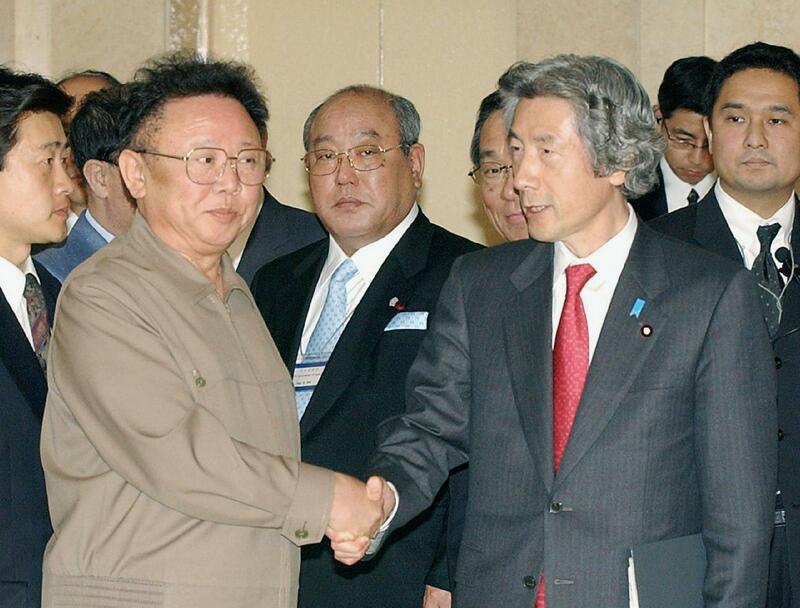 The so-called six-party talks were launched in August 2003 to discuss North Korea’s nuclear development program. In September 2005, the multilateral framework, which also involves China, Japan, Russia, South Korea and the United States, issued a statement in which North Korea agreed to abandon the nuclear program. Angered by U.S. financial sanctions imposed in the same month, however, North Korea restarted provocations in July 2006 by firing a ballistic missile. Three months later, North Korea conducted its first nuclear test. Japan and North Korea resumed their negotiations in March 2014. After unofficial talks, abductee Yokota’s parents visited Mongolia and met the daughter born to her and her husband in North Korea. Under an agreement reached at bilateral talks in Stockholm in May 2014, North Korea promised to reopen its investigation into the whereabouts of the remaining Japanese abductees and set up a special committee for the probe. But North Korea tested an atomic bomb for the fourth time in January 2016. Protesting the sanctions Japan imposed following the nuclear test, North Korea unilaterally decided to cancel the reinvestigation and disband the probe committee. Under new leader Kim Jong Un, who took over from his late father, Kim Jong Il, North Korea has accelerated its missile and nuclear programs, leaving bilateral negotiations on the decades-old abduction issue stalemated. In August, Foreign Minister Taro Kono spoke with his North Korean counterpart, Ri Yong Ho, in Manila on the sidelines of regional meetings and called for a comprehensive solution to the abduction, nuclear and missile issues in line with the Pyongyang Declaration. On Tuesday, Japanese and North Korean government officials met in Switzerland during an international conference on Northeast Asia. “We are continuing negotiations (with North Korea) through many channels in a bid to resolve the abduction issue,” a government official said. But with North Korea showing no signs of restraining itself from continued launches and nuclear tests, a path toward solving the abduction issue is not in sight yet.